Adult trigger finger is a common condition that presents with catching or locking of a finger with or without associated pain. In advanced cases, fingers can bend but get “locked” and cannot straighten unless helped by the other hand. It is commonly associated with diabetes, rheumatoid arthritis or gout and even Duypuytren’s disease. The tendons that bend the fingers are kept close to the surface of the bone by pulleys that ensure full bending of the fingers. In an adults trigger finger, the A1 pulley inner surface becomes thickened by a process called fibrocartilaginous metaplasia. The tendons at this level are lined with a membrane called the synovial sheath. When the space in the tunnel becomes smaller, the synovial lining starts to swell and it gets even more difficult to straighten the finger. The combination of mechanical obstruction and swelling can create damage to the underlying tendon and worsen the problem. Steroid injections are tried initially and although it does not reverse the original problem it is believed to reduce the reactive and swollen synovial sheath and are effective. 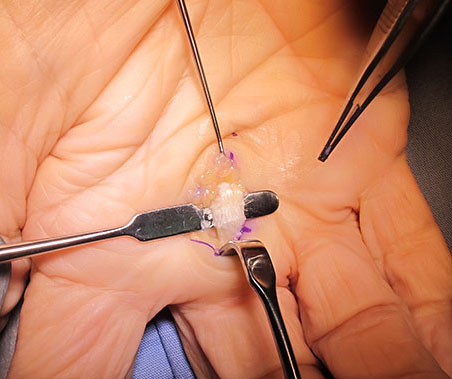 The surgical intervention for this procedure is based on dividing and releasing the A1 pulley to create more space for the tendon to glide smoothly. It generally has an excellent and predictable outcome. The dressing must be kept on and remain dry for 2 weeks post surgery. It is imperative that the finger starts moving immediately after the operation to keep the tendons gliding and prevent scar adhesions. The finger will stop locking or catching immediately after the procedure. The sutures are removed at 14 days post surgery. 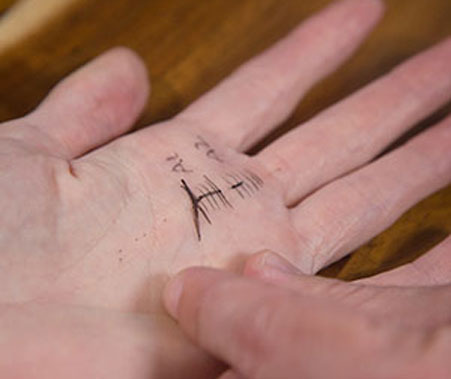 Hand therapy may be necessary for swelling and scar management, as well as regaining full straightening of the operated finger, as it has a tendency to bend at the middle joint. Any tenderness should resolve around 6 weeks post surgery.